Please join us in congratulating the 2018 NSBC Scholarship Recipients. 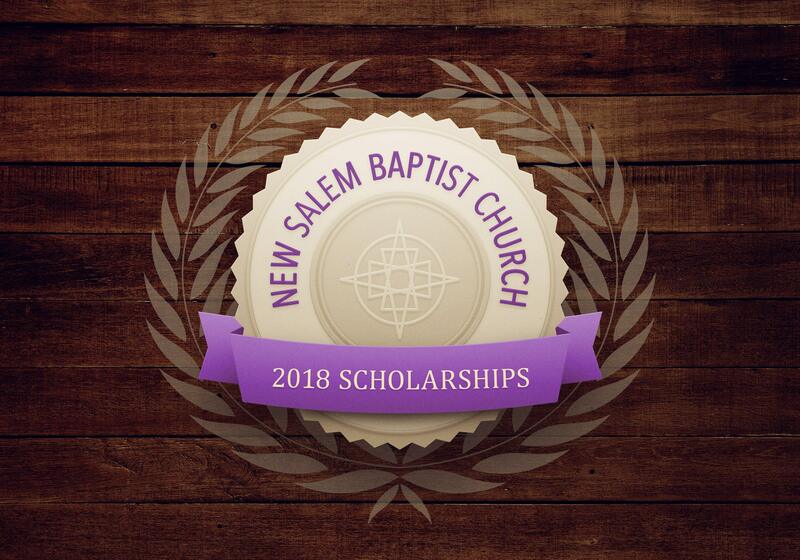 Through the generosity and Daring Faith of New Salem we have awarded 25 scholarships were over $35,000! We would like to extend our heartfelt appreciation to the scholarship donors, as well as to Alicia Fowler and the Scholarship Committee for the time, generosity, sacrifie, and diligence! The William Harrison Sr. Memorial Scholarship was created by the Harrison Family to honor Mr. William Harrison Sr. This $500 scholarship was awarded to two high school graduates. The Hank Evans and Dorothy Cage Evans Scholarship was initially going to be awarded to one college student in the amount of $500. However, through the generosity of Mr, and Mrs. Evans we were able to award seven scholarships this year. The NSBC HBCU Scholarship is a $1000 scholarship that was started by Sis. Margaret Early and was awarded to one student that will attend a historically black college or university. The NSBC Early Scholarship is a $1000 scholarship that was started by Sis. Margaret Early and was awarded to three college students. Robert S. Early Communications and Media Scholarship was started by Sis. Margaret Early in honor of her husband, Bro. Robert S. Early. It is a $1000 that was awarded to a college student majoring in a media or communications field. The Elizabeth Denton Wesley Scholarship was started by Sandra Denton in honor of her mother. It is a $1000 scholarship that was awared to a student that attends a a historically black college or university. The McDaniel-Pitts Scholarship is New Salem’s endowed scholarship. Ten college students that demonstrate academic excellence and a heart for service are awarded scholarships in the amount $2500. If you would like to support our scholarship fund, please contact Dr. TaNikka Sheppard at (614) 930-2242 or tsheppard@newsalemcares.com.